Wellness Care. The first step to a healthy pet is wellness care! We’ll immunize your pets at your regular checkups, and give you tips on good nutrition and exercise. Our dental services and well stocked pharmacy keep your pets at their best! Illness and Surgery. When your pet isn’t feeling well, we provide the best care around. We offer digital radiological imaging, ultrasound, and the latest in pain management. 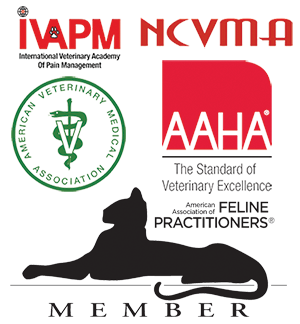 We provide exceptional anesthetic monitoring which exceeds the AAHA standards of care. 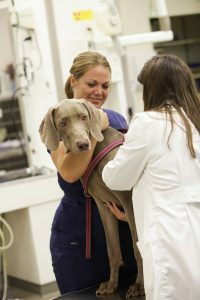 Our veterinarians are accomplished at most surgical techniques, and we have a board certified surgeon who comes to our practice for the most specialized procedures. Integrative Medicine. Our pets often do best with the medical influences of both Western and Eastern medicine. Herbal therapy, acupuncture, chiropractic medicine and food therapy use the strengths from both of these modalities and can improve treatment outcomes greatly. Birds, Rabbits and Small Mammals. Veterinary medicine for exotic pets is growing as the popularity of these animals increase. With better public education in health, nutritional and environmental management, all species have a greater chance for living longer and healthier lives. We employ staff veterinarians who possess experience in the care and treatments of exotics. Microchipping. Microchips have helped reunite thousands of pets with their families. We offer the most widely used microchip products to increase the chances of a safe recovery.